The winter of 2015/2016 thus far has been an unseasonably warm one (to the delight of many), with less snow fall. But, this does not mean that driving conditions aren’t as dangerous as when it’s more cold, or when there’s more snow on the ground. Drunk Driving Accidents: Out for a night on the town in Peterborough, or had one too many drinks after watching the Peterborough Petes game and then getting behind the wheel puts you, your passengers and fellow drivers or pedestrians at risk of danger. Driving is a privilege. It’s not a right. Don’t drink and drive. Texting and Driving on Highway 115. Police officers in the Kawarthas and the surrounding area are telling me the distracted driving whether by way of cell phone, email or text is on the rise. Just taking your eyes off the road, even for a second can result in a collision. If you have to take that call, use a hands free device or blue tooth operated speaker. Cars without snow tires: Snow tires aren’t just for snow. They are designed specifically to provide additional grip and control in cold weather conditions. The tires grip better to cold pavement, so you have greater control. So, just because it’s not snowing, or just because there’s no snow on the ground doesn’t mean that snow tires aren’t a worthwhile investment. 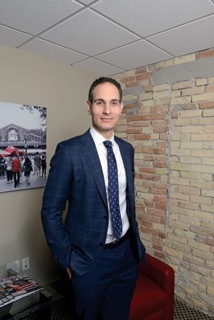 With new provincial government incentives for snow tires, where personal injury lawyer Brian Goldfinger provided a legal commentary on snow tires here. Negligence claims: These are by far the most common form of claims our law firm happens to see. This occurs when the mistake, act, or omission by another driver (referred to at law as negligence), results in a car accident or motor vehicle collision. If these accidents are investigated promptly by the police or OPP, then it’s likely that charges against the at fault driver pursuant to the Highway Traffic Act will flow. Unfortunately, the warped logic of the Courts in Ontario is that if there were no charges in relation to the collision, then there was no negligence. This sort of thinking is overly simplistic. Unfortunately, this is the approach that Ontario Courts too often take. They fail to take other things in to consideration such as the availability of police officers to investigate a car accident as opposed to a violent crime in the community (lack of resources) or the police simply not wanting to lay charges because they don’t want to do the paperwork, are nearing the end of their shift or have other things they need to get to. That’s the reality of what can happen in some cases. If you or a loved one has been injured in a serious car or motorcycle accident along Highway 115, don’t hesitate to call Brian Goldfinger and his team at Goldfinger Injury Lawyers. With offices in Toronto, Petebrorough, London and Kitchener-Waterloo, they are able to serve you. Our office only represents innocent accident victims, and does NOT take cases on behalf of insurance companies. We fight for the little guys who otherwise cannot find a voice in a hard to manage legal system. Enough law talk? Sure. Congrats to the Toronto Raptors on a 10th consecutive win in a row! This is a new franchise record. After 20 years of mostly poor basketball, Toronto’s team has finally set a streak which is both impressive and respectable. The funniest thing about the streak for me is how ugly the wins have been. Don’t get me wrong; there have been a few good ones. But the majority of the wins have been rather ugly. Take for example last night’s game on TNT. That game was barely watchable. The only reason I tuned in (on fast forward tape delay) was to see the TNT broadcast, and to see of Raptors could win their 10th in a row (which they did). Congrats Toronto. Nice to have a winner for a change. Let’s hope they keep things rolling for the playoffs. Congrats to Demar Derozan on his All-Star selection. Well deserved. I smell a max contact deal for the young super star! One more note: The pic in this post was taken from a photo shoot of Brian Goldfinger at for London Business Magazine. Brian was selected for a second consecutive year to be named as one of London’s Legal Elite. Well done Brian!